(Reuters) – Ivory Coast’s cocoa farmers expect an abundant April-to-September mid-crop, they said on Monday, following a week of above-average rainfall in most of the country’s cocoa regions. 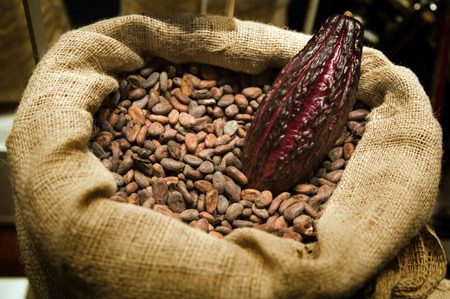 Ivory Coast, the world’s top cocoa producer, is in the midst of the dry season which runs from November to late February. Scarce showers during this period are crucial to the development of the mid-crop. Farmers welcomed the rain and said many cherelles were turning into small pods – a sign of a healthy mid-crop despite the heat. They said more high-quality beans would leave the bush from April to June than over the same period last season, if the rains remained constant. “It’s going well. There are currently many medium-sized pods on the trees,” said Olivier Bade, who farms near the centre-western region of Daloa, producing the quarter of national output. “We need a strong shower within the next two weeks because it’s very hot,” said Bade. Data collected by Reuters showed that rainfall in Daloa, which includes the region of Bouafle, was at 11.3 millimetres (mm) last week, 7.1 mm above the five-year average. In the western region of Soubre, at the heart of the cocoa belt, several farmers said there were more cherelles and small pods on trees than during the same time last season. “If the rains continue we will have a high-quality mid-crop,” said Kouassi Kouame, who farms near Soubre. Data collected showed that rainfall in Soubre was at 11.4 mm last week, 6.8 mm above average. Rainfall in the southern region of Divo was at 21.1 mm, 16.5 mm above average, and farmers there were optimistic about the mid-crop’s outlook. Rains were also above average in also the central regions of Bongouanou and Yamoussoukro, in southern region of Agboville, in eastern region of Abengourou and in the western region of Man. Average temperatures ranged from 27.2 to 31.07 degrees Celsius.